Decorate your bikes in red, white, and blue for Inks Lake State Park's patriotic bike parade July 4. HOOVER’S VALLEY — While Fourth of July typically means fireworks, you can also enjoy a pleasant, patriotic ride through Inks Lake State Park to celebrate America’s birthday. Gather in the central park area near the park store starting at 10 a.m. Wednesday, July 4, then don your bikes in red, white, and blue. You can bring your own decorations as well. Once the bikes are ready, park rangers and the Hoover Valley Volunteer Fire Department will lead everyone through the park as they show off their patriotic pride. As people are decorating their bikes, Pannell and others will discuss the tenets of the Leave No Trace philosophy. “Because what’s more patriotic than taking care of our state and national parks,” Pannell added. Leave No Trace is a way of taking care of the outdoors through responsible usage. If you’re interested in learning more about Leave No Trace before you join in the July 4 fun at Inks Lakes State Park, check out LNT.org. 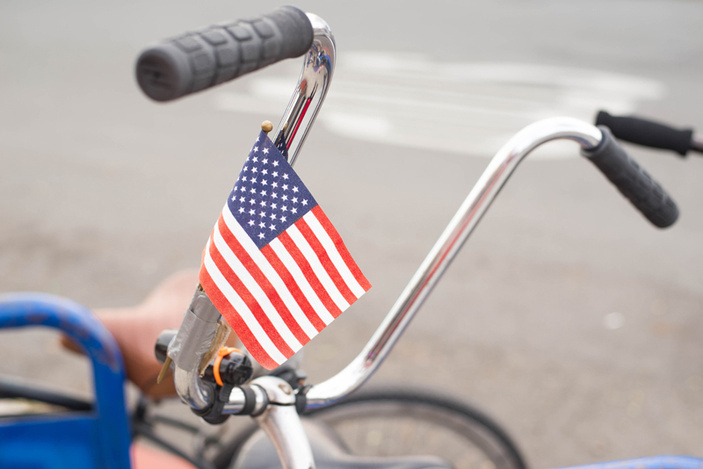 The patriotic bike parade is 10-11:30 a.m., but once it ends, you don’t have to pack up and head home. Inks Lakes State Park offers a ton of things to do. While you’re there, why not take in a short (or long) hike? Just be sure to bring plenty of water. Or, cool off in Inks Lake. A northeast section of the lake nestled between a portion of the park is a “no wake zone,” so you won’t have to contend with boats roaring by. However, you might want to keep an eye overhead as this part of the park includes Devil’s Waterhole, where people love to jump from the small canyon walls into the lake. You might even try it yourself. Admission to Inks Lake State Park is $6 for ages 13 and older and free for those 12 and younger. There is no additional cost to participate in the bike parade.